Most of our customers have taken a proactive approach to replacing their unit bearings with our SpynTec™ hub conversion kit, but those that haven’t are welcome to send in invoices showing the damage. We’ll even add your name to a monthly drawing for some freebies. 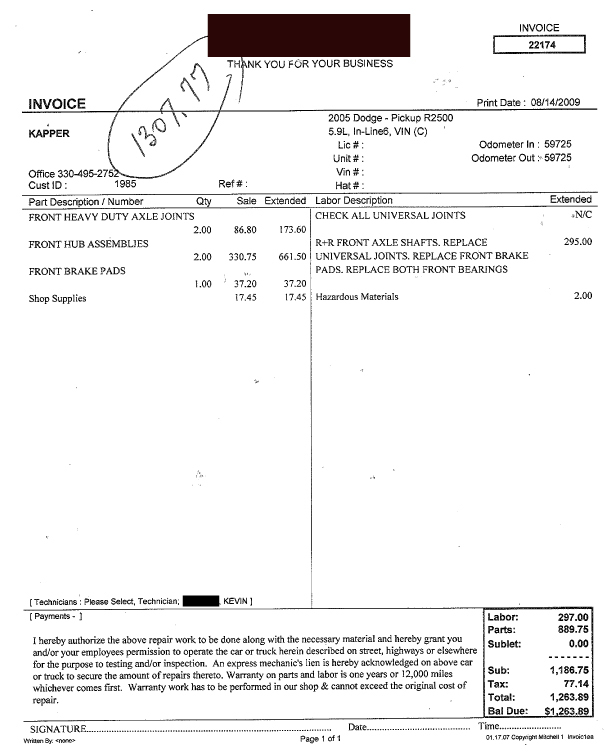 Below is an invoice for replacing the non serviceable unit bearings found on your truck. Replacement bearings would of only cost around $45 for a SpynTec kit.